Snooker world champion Ng On-yee has already made history – last month she became the first Asian to top the women's world rankings. Snooker world champion Ng On-yee from China became the first Asian to top the women’s world rankings. She wants to change the image of the male-dominated game and enable more women to follow in her footsteps. Snooker world champion Ng On-yee has already made history — last month she became the first Asian to top the women’s world rankings. Now the Hong Kong pioneer, who this week embarks on her world title defence in Malta, wants to change the image of the male-dominated game and enable more women to follow in her footsteps. Instantly recognizable with her large round-rimmed spectacles, Ng, 27, is coy about her achievement, describing her ascent to number one last month as “a surprise” as she discovered from her coach Wayne Griffiths. The milestone came after a record 2017 when she won her second world championship and six other titles. But Ng has no intention of stopping there — now she is striving to make a mark on the men’s circuit. Ng became the first Asian woman to be invited to the men’s world championship in 2016 and, although she lost in the first qualifying round, she still saw it as a valuable learning experience. She is keen to dispel the image of snooker as a male-dominated sport, saying that physical strength does not matter. Ng returned to studying last year to complete an advanced accounting diploma, but says snooker is still her priority. She sees herself as an ambassador for the women’s sport. In February she finally overtook long-standing world number one England’s Reanne Evans — who had held top spot for a decade — after reaching the quarter-finals of the British Championships. “Reaching number one is one step, maintaining the ranking is another,” Ng said, pointing out the narrow points gap separating the top players ahead of the defense of her women’s world championship in Malta. She is part of a growing band of female snooker stars emerging in Hong Kong — there are remarkably three other players from the southern Chinese city occupying spots in the women’s world top 15. Hong Kong’s best-known men’s player remains veteran Marco Fu — one of Ng’s idols. He is ranked 10th in the world and a former world championship semi-finalist, but the 40-year-old has been forced to take a break while he recovers from an eye problem. The sport’s popularity is also exploding in the Chinese mainland, which now hosts half a dozen men’s world ranking events. The country’s Ding Junhui, currently the world number four, was the first Asian to have reach world number one in 2016. Ng says the 40-year-old Fu is an inspiration and she sent a message urging him to rest after hearing he had undergone surgery for retinal degeneration in his left eye. Her own trademark glasses are due to astigmatism in both eyes and she says the round lenses help her perfect her aim from a variety of angles. Ng spent her early years running around the snooker hall her parents managed in the working class Hong Kong district of Sham Shui Po, stacked with high-rise buildings and known for its bustling street market. Smoke-filled snooker halls are often portrayed as shady dens frequented by triads in Hong Kong movies. But Ng always felt at home there and enjoyed watching her father, who was an amateur player. She particularly loved his snooker outfit, a sleek waistcoat and bow tie — a look which Ng herself has adopted. “I wished one day I could wear the same,” she recalled and started learning the game from her dad when she was 13. Her father traveled with her to overseas tournaments and would comfort her when she cried after losing as a youngster. “If I practiced well, my dad would make a mark on a blackboard. When there were 10 marks, he would reward me with hamburgers and French fries,” Ng added. 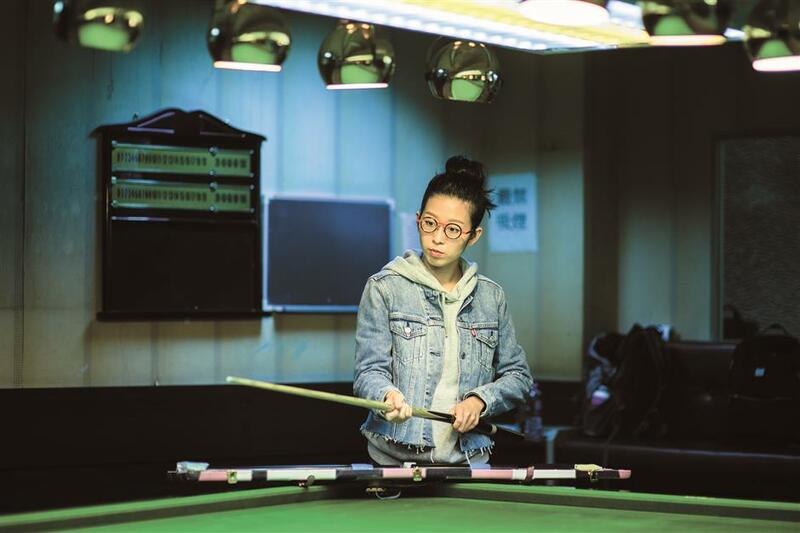 Her strict eight-hour-a-day training schedule covers break-building, shot selection and fitness at the Hong Kong Sports Institute, although Ng still finds time to play with her dad at his snooker club. “Sometimes I felt quite empty when speaking to some of my friends, especially with topics outside of snooker,” she said. But with the support and understanding of her peer group she managed to adapt. Ng returned to studying last year to complete an advanced accounting diploma, but says snooker is still her priority. She sees herself as an ambassador for the women’s sport.